The Woman’s Hospital of Texas is an acute care hospital located near the Texas Medical Center. The hospital was established in 1976 by a group of doctors who recognized the need for a facility focused solely on the care of women and infants. In keeping with this vision, Woman’s Hospital of Texas offers a full range of women’s services, including breakthrough developments in minimally invasive surgery and urogynecology as well as an antepartum unit, 36 labor and delivery rooms, a medical surgical unit, and 124-bed levels II and III neonatal intensive care nurseries. 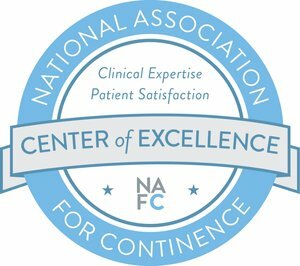 The Women's Pelvic Health & Continence Center is Houston's first urogynecology and pelvic reconstructive surgery center and the only center staffed solely by fellowship-trained physicians. Patients enjoy the comprehensive service and unique individualized approach taken with each patient. The doctors and dedicated staff seek to provide patients with the highest level of care for each individual’s gynecologic and urogynecologic needs.